The insurance sector has always been skeptical and late to adapt to a new technology that pops up on the tech radar and is also possibly the last financial sector that decides to incorporate this technological evolution; with that being said Blockchain is no exception. 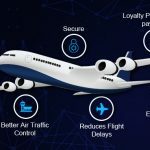 But it is also important to note that the concept of Blockchain is being presented as one of those ‘once in a blue moon’ innovations, which holds the potential to disrupt the entire industry much ahead of the trend and time. The insurance sector primarily deals with managing financial risks, includes a high volume of financial transactions and claim management on a day-to-day basis. This makes the insurance sector vulnerable and prone to potentially a large number of intrusions, laundering, attacks, and fraudulent transactions and claims. The insurance space is considered as a data intense, highly complex with composite contracts between multiple stakeholders which desperately need a huge processing potential. Insurance companies collect, store, process and handle an insane amount of data. Streamlining the process involving data has always been a challenge in any sector. With that being said case of identity theft, document and signature forging, and other methods of frauds are ever on the rise. Many regulations and speculation have been brought in to curtail this, but have been rendered useless beyond a point. 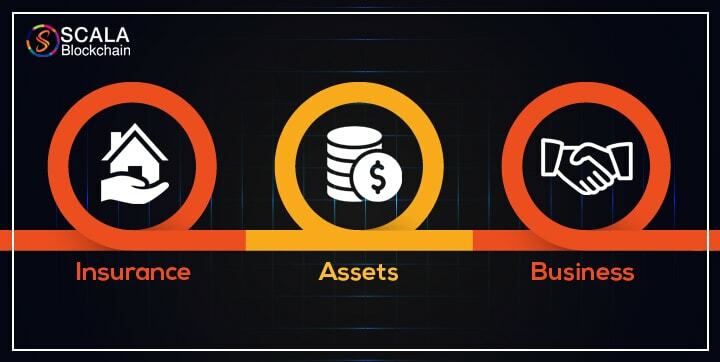 Blockchain being an open-ended platform and operates on a decentralized, ongoing manner thanks to the activity of the entities that can store information, and to consensus algorithms; much like the proof of work and proof of stake which certify the information per block (unit). Users running these algorithms are known as miners. 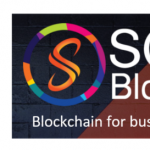 When a block has been validated, it is added to the blockchain and shared with the network. 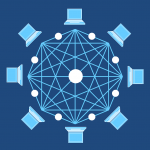 Blocks are connected to each other in such a way that if users wish to change one block, the entire blockchain must also be changed. With that being the case with blockchain, the insurance sector can be greatly revolutionized in myriad ways in all phases. On-boarding a client is a primary task in the insurance sector. This would require verifying their KYC with the insurance company. Insurers and customers waste a ton of time verifying the authenticity their documents and identity. Sometimes physical and in-person verifications are also done by third-party agencies. This can be considerably reduced with a blockchain platform that can communicate to other blockchain platforms and verify the identity of the user without much effort. The records in a blockchain platform can be made available with the ones who have permission to view the information. All the user records are securely stored in the blockchain using advanced and secure cryptography. The insurance sector runs in the name of trust and surety that they there to cover any losses that take place during the insured time. However the criteria tend to vary for different type of insurances. 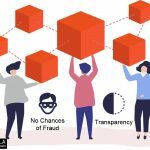 Screening frauds and risk management By moving insurance claims onto an immutable ledger, blockchain can help eliminate common sources of fraud in the insurance industry. Insurance on assets: With blockchain a shared ledger and insurance policies executed through smart contracts can bring an order of magnitude improvement in efficiency to property and casualty insurance. Health Insurance: By implementing blockchain medical records can be cryptographically secured and shared between health providers, increasing interoperability in the health insurance ecosystem. 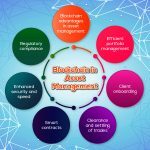 Renewal of insurance: By securing reinsurance contracts on the blockchain through smart contracts, the blockchain can simplify the flow of information and payments between insurers and reinsurers.